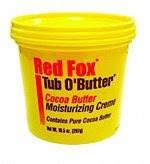 Some people swear by Cocoa Butter, some swear by Vaseline- secretly I am an independent and I swear by this staple which is a combo of cocoa butter and Vaseline. My mom actually discovered this many moons ago and I keep a tub in my place at all times. Best benefit is on your feet, elbows and knees keeping you from looking like Ashy Larry or that crazy cousin always looking like he played in flour or been around sheetrock all day! Retailing at $3 bucks tops it should also be at your desk on those days when corporate A/C causes for you to have super dry scales. 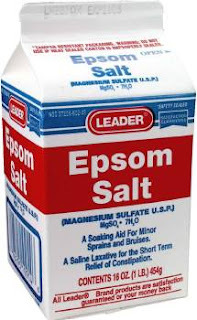 Whenever I am sore from exercising to much a bathtub full of this makes all the pain go away. 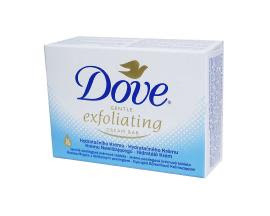 Even better,a little bit crushed up is an amazing exfoliatante for your body. Found at your local pharmacy and even 99 cents store you can’t go wrong with having a container in your place for those achy nights. Yes, I still use soap and I am a firm believer in all the amazing things Dove can do for your body. I am and I don’t care what you think about me whether 10 years, 20 years. Sorry, I digress-ha! Anyways, Dove soap has a clean and fresh scent that leaves you feeling clean and fresh. I am a true believer that soap gets the real dirt off and shower gels are great but, use both! Ooh, I use to steal this from my Granddaddy all the time. I have tried tons of different shaving cream, Gillette, Venus. Bliss etc etc. It doesn’t do what Barbasol does for me. I never get that huge lather that I love to see and with the others I get mild irritation from time to time. 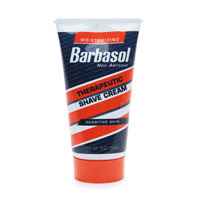 Barbasol is super old school but has all the properties you need for smooth legs and arms. Winters can be rough on your skin. This lotion is not that greasy heavy sort of smuck that takes forever for your skin to absorb. It is even better to use at night while skin cells are reworking themselves as you sleep. It should become a staple of yours as it has become of mine. Alrighty folks, stay tuned for my last and final post tomorrow on nails, eyes and teeth! Stay fab and stay frugal!